Elevoplasty® is a minimally-invasive, office-based procedure that works like “a face lift for the soft palate”®. 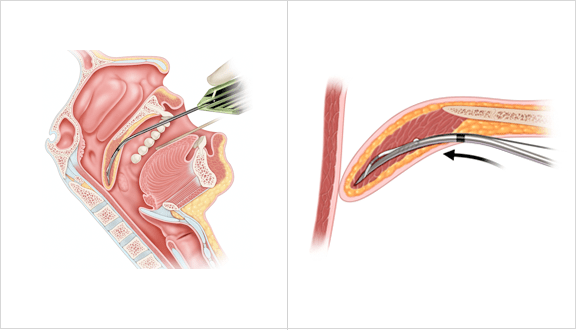 Elevoplasty® provides a therapeutic option for the patient who suffers from simple snoring without sleep apnea. 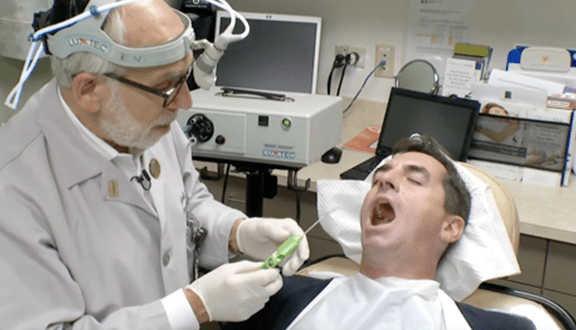 It fills a need for those patients seeking relief from snoring who are not interested in wearing an oral appliance at night and who are not willing to undergo invasive palate surgery, such as uvulopalatopharyngoplasty (UPPP). 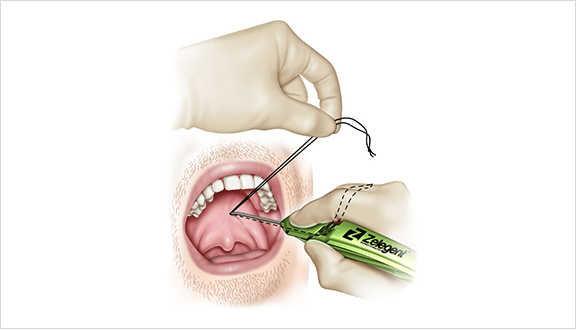 The basic concept of Elevoplasty® is to use specially-shaped proprietary resorbable barbed sutures to provide lift to the soft palate without surgery, thereby alleviating snoring by three mechanisms. 1. Making the soft palate slightly shorter, thereby reducing the chance of the soft palate obstructing the airway during sleep. 2. Making the soft palate slightly stiffer, thereby reducing its vibration during sleep, and the resulting snoring sounds. 3. 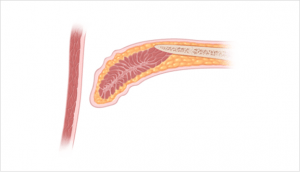 Causing secondary scarring of the soft palate, which tends to make it slightly shorter and stiffer. 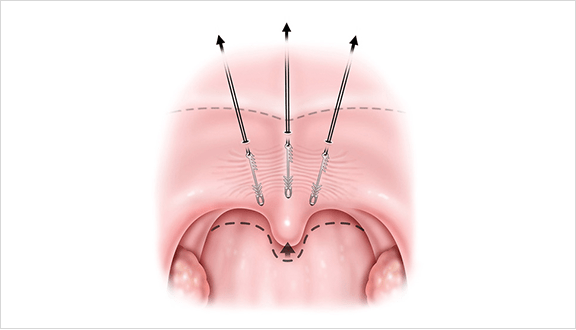 Using specially-shaped proprietary sutures, the procedure provides lift to the soft palate without surgery, thereby alleviating snoring by three mechanisms. 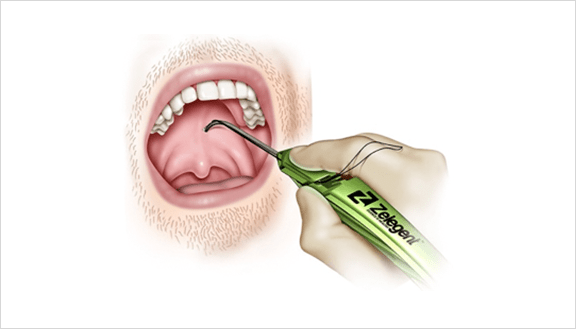 The Elevo™ Kit provides a specialized tool that deploys a uniquely-shaped bi-directional resorbable barbed suture into the soft palate with a simple in-and-out motion that can be performed under local anesthetic in an office chair. 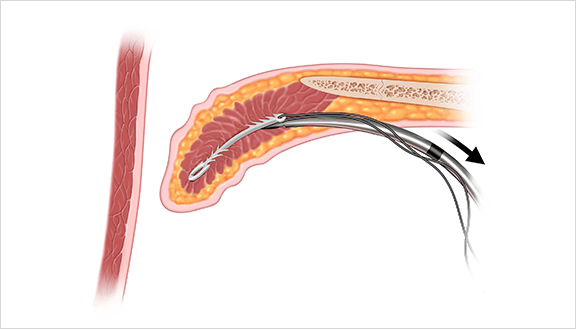 When the Elevo™ suture implant enters the soft palate, the exposed distal barbs grip the tissue around them. The plunge motion continues until the depth insertion marker is inside the patient’s tissue. The black silk disposable tension suture is then released. The handle is then pulled back. 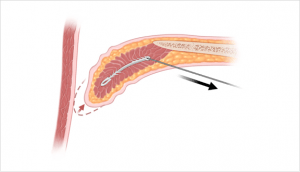 This leaves the suture implant in place in the tissue, and it exposes the proximal barbs to the tissue. 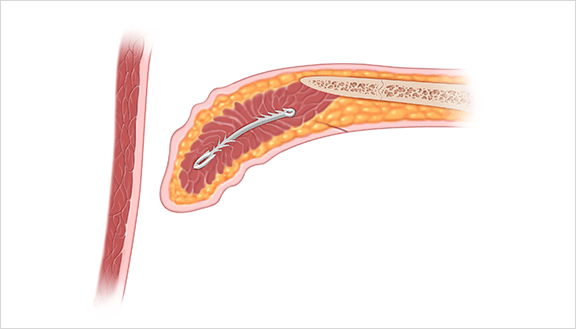 If the suture implant has not already created some lift by retracting the soft palate a bit when the needle was starting to be removed, the physician can pull on the black silk disposable tension suture to create a few millimeters of lift. 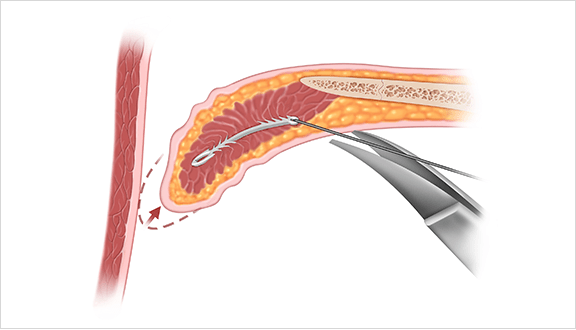 Once the physician is satisfied with the degree of lift, he or she cuts the three disposable tension sutures with a standard pair of scissors. Leaving the suture implants in place, they remain with the patient, and form scar as they resorb. This hypothesis was put to the test in the multi-center S.I.LE.N.C.E. Clinical Study, conducted at eight clinical institutions in the U.S. in 2017. Results are expected to be available in 2018.